The grand opening of a new location can ultimately determine the overall success or failure of the business. After all, you don't get more than one chance to make a first impression in your community. When it comes to local marketing, here is some advice to follow that can help ensure your franchise starts off with the greatest chance of success. Marketing your new location can start months before the doors actually open. New construction always attracts the attention of people passing by who often say, "Wonder what they are building here?" 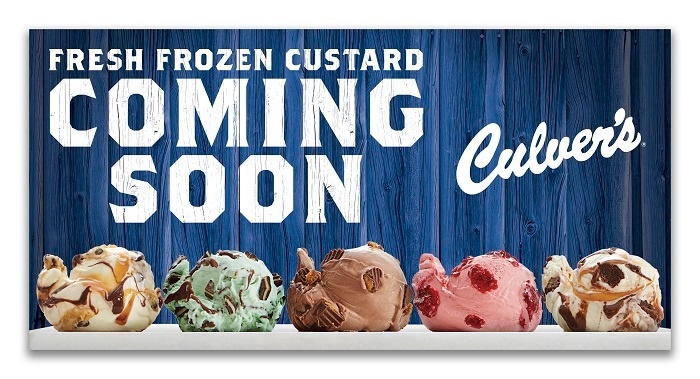 When construction is underway, smart use of signage can create positive anticipation of your grand opening day. Don't leave your community uninformed, start the gossip mill and benefit from word of mouth as soon as possible. 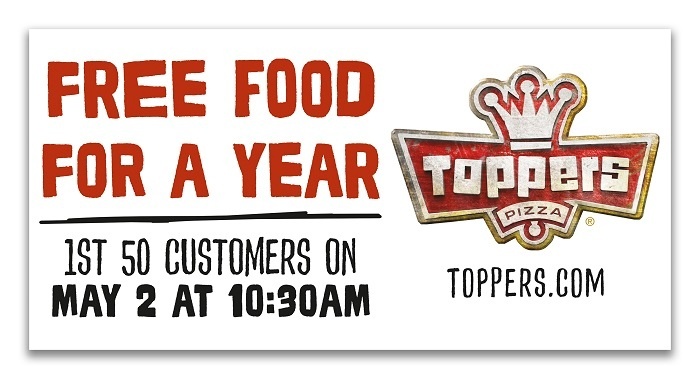 A trend in restaurant grand openings has been to offer a prize to a limited number of guests, like the "Free Food for a Year" promotion Toppers Pizza offered to the first 50 guests at a new location. These promotions often cause customers to line up around the block hours (or even days) before a new store opening, which results in news coverage by local TV stations and newspapers. Who doesn't love "free" publicity? The great thing about opening a local business is that you know exactly where your customers are - in your neighborhood! Every Door Direct Mail (EDDM) or saturation mailings can blanket your surrounding area with messages that are guaranteed to be seen. Or if you have a specific audience you're looking to target, like families with children for instance, you can do a focused mailing to only those that fit your demographics. 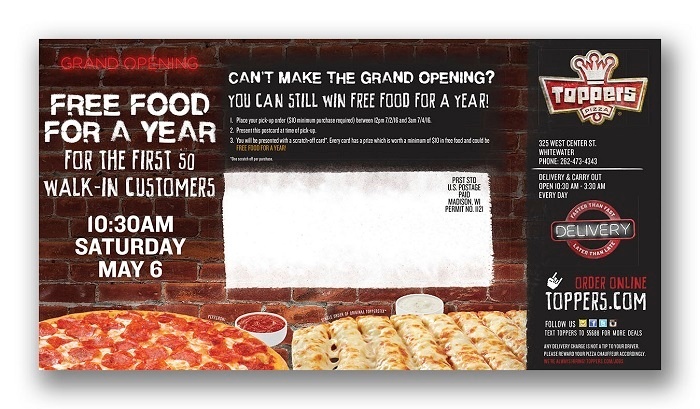 Be sure your mailpiece has a call to action or an incentive like a coupon so you can track its effectiveness. 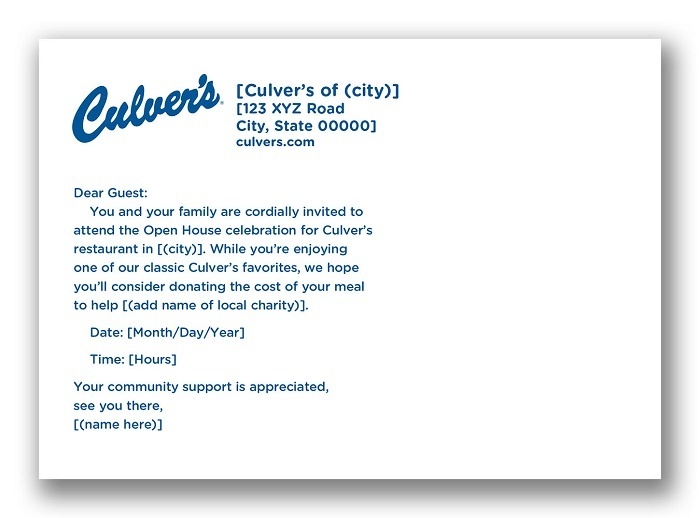 Partnering with a local non-profit for your opening day is a great way to show the community that you care. You can donate a portion or all of first-day profits to a local cause that aligns with the target market you are looking to connect with. This cause marketing will help generate positive word of mouth and possibly another publicity opportunity. Today's consumer places high value on "experiences" so make sure your grand opening event will present an experience worth talking about. 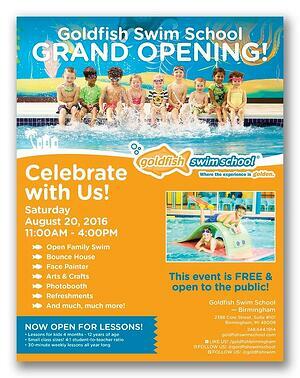 Grand openings have used live music, free food and beverage, local celebrities, kids activities, magicians, clowns, radio DJs -- almost anything you can think of to encourage attendance. Aligning your offering to your target customer is the most important key to booking and planning entertainment options. Smart corporate marketers and franchisors have made their grand opening process repeatable and easy for a new franchisee to execute. A playbook with instructions, planning dates and checklists makes sure everything gets done in time for launch day. Putting together "grand opening kits" that include all the signage, collateral and operational tools a new location will need ensure nothing is forgotten. These items can be housed in a marketing resource center for localization and download or print.